Increasing Access to MAT: What Is the Role of Harm Reduction? Almost 90% of Medicare Part D insurance companies covered at least one buprenorphine product without restriction back in 2007—but in 2018, only 35% did so. Yet prescription opioids are covered—with no restrictions—in 93% to 100% of recently surveyed plans. The culprit appears to be controls insurance companies impose to hold down costs, such as prior authorization or step therapy. Does this make sense? Why restrict access to medication to treat opioid use disorder, in the face of an opioid epidemic? An epidemic that during those ten years—2007 to 2017 (final data for 2018 are not yet in)—saw overdose deaths for all opioids, including heroin and prescription opioids, soar from 18,515 to 47,600? 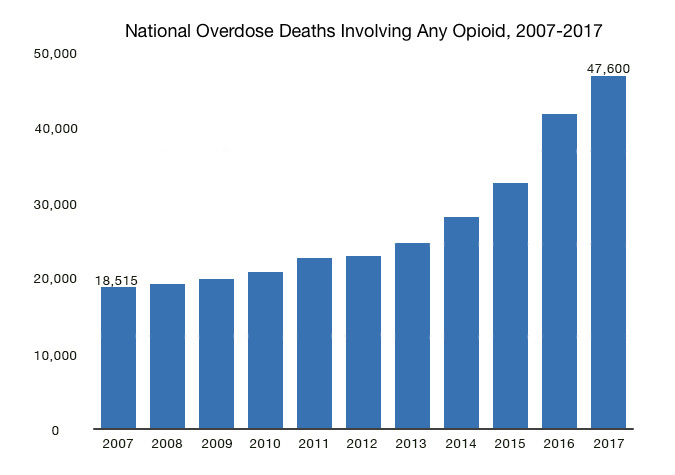 The graph shows the number of U.S. overdose deaths involving prescription opioids, methadone, and synthetic narcotics, including heroin and fentanyl. Adapted from CDC Wonder. The data cited above are from a research letter published February 12 in JAMA. The letter assesses prior authorization requirements for buprenorphine products in Medicare Part D prescription drug plans. Insurance companies commonly use preauthorization rules to manage or limit access to certain drugs, Daniel Hartung, PharmD, MPH, lead author of the study, explained in an Oregon Health & Science University (OHSU) news release. Dr. Hartung is an associate professor at the OHSU/Oregon State University College of Pharmacy. While he waits for approval, his patient is “at high risk of relapse due to the horrific effects of opioid withdrawal”—when one relapse can mean death. Could the hassle involved in getting prior authorizations explain why many practitioners fail to prescribe buprenorphine, after undergoing the trouble and expense of training and qualifying for a waiver? In 2017, the AMA and 16 other health care organizations called for reforms in prior authorization requirements. An AMA survey had found that the average physician received a total of 29 prior authorizations (for prescriptions and medical services) per doctor per week, requiring an average of 14.6 hours—two working days—per week of the physician’s and office staff’s time. And 79% reported they had to repeat the procedure—even for stable patients on a previously approved regimen. Last fall, President Donald Trump signed into law the Substance Use-Disorder Prevention that Promotes Opioid Recovery and Treatment for Patients and Communities Act (the SUPPORT for Patients and Communities Act), a massive piece of legislation—250 pages. Will the SUPPORT Act Have an Impact? We wondered if the Act would help reduce the prior authorization problem. We asked an expert, Barbara Andraka-Christou, JD, PhD, an assistant professor in the department of health management and informatics at the University of Central Florida. She agreed with our idea that prior authorizations are a primary reason buprenorphine isn’t prescribed more often. But she added that under-prescribing isn’t limited to buprenorphine; it’s a problem with medications for OUD in general. And, from her research, she had some idea why this was happening. And whatever good will come from the SUPPORT Act is almost two years away. In the news release mentioned earlier, Dr. Korthuis recommended: “Require Part D plans to eliminate coverage-related barriers, such as prior authorization.” This single step, he said, would immediately improve access to treatment for many Medicare beneficiaries. We asked Dr. Andraka-Christou what steps she would like to see. “Real-time Benefit Check,” a tool for prescribers from covermymeds, provides information on prior authorization and patients’ out-of-pocket prescription costs. According to author Kim Diehl-Boyd, it may help physicians select medications that do not require prior authorization. For information: https://www.covermymeds.com/main/insights/rtbc-scorecard/. “2019 ePA National Adoption Scorecard,” another electronic publication from covermymeds, explains and clarifies some key aspects of the prior authorization process. Go to https://www.covermymeds.com/main/insights/scorecard/ and click on the nine subheads on the right. Hartung DM, Johnston K, Geddes J, Leichtling G, Priest KC, Korthuis PT. Buprenorphine coverage in the Medicare Part D Program for 2007 to 2018. Research Letter. JAMA. February 12, 2019;321:6:607-609. PMID:30747957. doi:10.1001/jama.2018.20391. Opioids more accessible than addiction treatment. OHSU study finds opioids are easy to get, but medication-assisted addiction therapy is not. Erik Robinson. February 12, 2019 Portland, Oregon. Available at https://news.ohsu.edu/2019/02/12/insurance-rules-make-it-harder-to-treat-opioid-use-disorder. Accessed 4/4/19. Barnett, Brian. Insurers are making it harder for me to treat my opioid-addicted patients. The Washington Post. OpEd. April 25, 2018. Wilson, F. Perry. Docs Rebel Against Prior Authorization. Prior authorization gets terrible reviews from practicing doctors, in a wakeup call to the insurance industry. The Methods Man. Methods Man Blog. March 19, 2018. https://www.methodsman.com/blog/prior-authorization. Accessed 4/4/19. Substance Use-Disorder Prevention that Promotes Opioid Recovery and Treatment for Patients and Communities Act, (the SUPPORT for Patients and Communities Act). https://www.congress.gov/115/bills/hr6/BILLS-115hr6enr.pdf. Accessed 4/4/19. Legislation Update. October 08, 2018. https://www.covermymeds.com/main/insights/articles/electronic-prior-authorization-bill-for-medicare-part-d-passes-in-senate/. Accessed 4/4/19. The SUPPORT for Patients and Communities Act—the massive piece of legislation signed into law on October 24, 2018—is not going to take care of the prior authorization problem. That means countless patients with opioid use disorders (OUDs) will still be unable to access treatment when they need it. Some will relapse; some will die. That’s the opinion of Barbara Andraka-Christou, JD, PhD, assistant professor in the department of health management and informatics at the University of Central Florida. The Act, known formally as the Substance Use-Disorder Prevention that Promotes Opioid Recovery and Treatment for Patients and Communities Act (the SUPPORT for Patients and Communities Act), is a massive piece of legislation that has some positive features. But it falls far short in dealing with the opioid crisis, especially in helping patients with OUDs who need buprenorphine. In an accompanying article in this issue of AT Forum, Dr. Andraka-Christou, who has published extensively in the field, and is an attorney as well, discusses three problems related to prior authorizations for OUD medications: they are time-consuming; they are dangerous (when causing treatment delays); and they are inequitable—possibly violating federal parity laws. She also stressed the difference between the two types of medications. “Ironically, medications for OUD, especially methadone and buprenorphine, are the most effective treatment for OUD, in combination with psychosocial support, while opioids for chronic pain management have questionable efficacy. Yet the OUD medications are more likely to be subject to prior authorization requirements. Dr. Andraka-Christou wants to see federal legislation banning prior authorization requirements for typical dosages of evidence-based and cost-effective medication for OUD. She acknowledges that insurance companies should continue to require prior authorizations for atypical dosages of evidence-based medication, for medication with a smaller or emerging evidence base, or for OUD medications that have not yet been demonstrated to be cost-effective. But, as she points out, typical dosages of methadone, oral buprenorphine, and extended-release naltrexone do not meet these criteria. The discrepancy between treatment access for OUD and chronic pain management is the focus of Dr. Andraka-Christou’s academic research, and the topic of her forthcoming book, Opioid Naïve: America’s Addiction to Failing Treatment, Johns Hopkins University Press. Publication is scheduled for 2019. 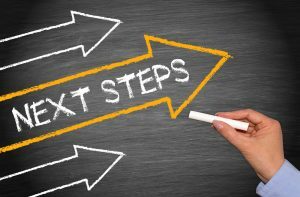 There are moves—important and funded ones—to support the expansion of medication-assisted treatment (MAT), but those moves apply mostly to office-based opioid treatment (OBOT) providers, not to opioid treatment programs (OTPs). “I suspect that the OBOTs are already the beneficiary of increased access to MAT, since they keep expanding the number of providers, who can be DATA 2000 waived,” said Mark Parrino, president of the American Association for the Treatment of Opioid Dependence (AATOD). “To some extent, buprenorphine appears to be used as a harm reduction approach in expanding access to treatment,” he added. 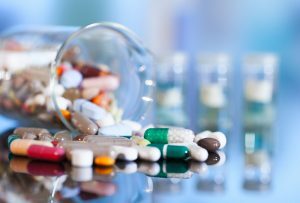 However, the question is what constitutes treatment, after medications are used. In a paper published this winter (http://www.aatod.org/wp-content/uploads/2019/01/2019-Policy-Paper-5.pdf), Mr. Parrino cited “unintended challenges” that are developing as legislators and policymakers move to expand access to treatment for opioid use disorders (OUDs). One major barrier is developing a workforce. “Based on the history of OUD treatment, it is clear that comprehensive services are necessary for the majority of people in treatment, especially when treatment begins,” Mr. Parrino wrote. Methadone can help the patients become stabilized, but then the focus is what services are needed to continue recovery—which will differ from patient to patient. Medication diversion is another issue—but one that does not seem to trouble the harm-reduction community. “A number of public-health proponents have described the street diversion of buprenorphine as ‘therapeutic,’ because its use by individuals not in treatment amounts to an attempt at lay treatment of OUD,” said Mr. Parrino. However, he noted that injectable and depot formulations will restrict diversion. According to SAMHSA and the Drug Enforcement Administration (DEA), there are approximately 1,600 licensed and accredited OTPs in the United States, with an estimated 400,000-plus patients receiving treatment at OTPs. By 2017, SAMHSA had approved more than 45,000 DATA 2000 prescribers, but only half were prescribing any buprenorphine, a phenomenon attributed partly to low reimbursement by health insurance. “Comprehensive treatment protocols are critical as patients progress to maintenance therapy and recovery, especially in light of the focus on increasing access to medications, with or without support services, and the limited availability of support services,” said Mr. Parrino. Citing the unintended consequences of prescription of methadone for pain—overdoses by patients who didn’t understand the long-term nature of the medication (and lack of prescribers’ education on the medication)—Mr. Parrino did, however, suggest that primary care practitioners, working in conjunction with OTPs, could help in treating fully stabilized patients. In this model, the OTPs would be the addiction “hub” and the primary care practices their extension. “Linkage back to the hub site would provide accessibility to patients and providers for re-stabilization and increased recovery services and support as needed,” said Mr. Parrino. “Clearly, this model would need to be developed as treatment protocols are put into place to ensure safety and to protect patients from exposure to unintended danger. Additionally, it is worth considering the prospect that some entities, such as Johns Hopkins, may utilize pharmacies to treat even more stabilized patients, as they do when patients pick up medications to treat any other chronic disorder. The Harm Reduction Coalition, however, does want to collaborate with OTPs. “Harm reduction programs also serve methadone patients. Harm reduction program staff should include methadone patients, and OTP staff include members of the harm reduction community,” said Daniel Raymond, deputy director of planning and policy for the Harm Reduction Coalition, based in New York City. It should be noted that harm reduction forces are not the only ones who favor a deregulation of the system. The belief seems to be that if regulatory barriers are eliminated, access to treatment will be increased. It’s important to add that harm reduction groups would like to see OTPs expanded—but that there is a basic lack of understanding that regulatory issues are not the real obstacle. The real obstacle is zoning boards and community groups. One of the most important initiatives occurring in methadone treatment for opioid use disorders (OUDs) is taking place in prisons and jails. In many states, a person who was addicted to opioids and then became incarcerated was left to undergo cold-turkey withdrawal, with no treatment. Now, states and localities are starting to recognize the cruelty and lack of logic of this kind of plan. Because while most—but not all—of those people survived, when they were released from jail or prison and went back to using opioids, as was likely, they were also more likely to overdose. The dose they had been used to before the abstinence period was enough to make them overdose. And when illicit fentanyl entered the scene, a few years ago, the overdose became even more likely to be lethal. So, states—starting with Rhode Island (see http://atforum.com/2018/02/moving-ahead-on-methadone-in-corrections/)—are gradually realizing that they need to have treatment behind the walls. 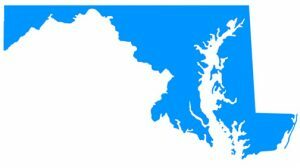 Most recently, HB116/SB846 is working its way through the Maryland legislature. This bill would have opioid treatment programs (OTPs) operate within prisons and jails to provide methadone to addicted inmates. AT Forum spoke with Babak Imanoel, DO, about how the program, which is expected to become law in October, would work. Dr. Imanoel, who is medical director of opioid treatment programs with the Anne Arundel County Department of Health, has been running just such a program in the local jail. “We know that roughly 70 percent of people behind bars have an opioid use disorder,” Dr. Imanoel told AT Forum. “By starting them on buprenorphine, methadone, or Vivitrol behind bars, their chances of staying in treatment when they leave go up.” Before the program in Anne Arundel County started, the jail there had only abstinence-based treatment, he said. Of 350 people treated in that program, only 1 showed up for treatment after release. Close to 50 percent relapsed within two weeks. “We don’t know what happened to them,” said Dr. Imanoel, of the released inmates. Once the jail started using methadone instead, 85 percent of the people who were released showed up at treatment. The county health department, where Dr. Imanoel is an independent contractor, is in charge of the treatment program in the jail. “We work with the correctional facility, but we are running the program,” he said. The Rhode Island OTP-corrections program, on which the Maryland program will be based, showed a 65% reduction in overdose deaths. In Anne Arundel county, there hasn’t been a single OD death in a patient treated with methadone: a 100% reduction in deaths. In addition, jail staff report—not surprisingly—that inmates getting treatment “are calmer, less likely to get into fights, and use less medical resources,” said Dr. Imanoel. The current Maryland bill would have an OTP inside every jail system. The OTP could be freestanding, or could be contracted by the jail system. The three approved medications—naltrexone (Vivitrol), buprenorphine, and methadone—would all be offered. If only Vivitrol or buprenorphine were offered, an OTP wouldn’t be necessary, Dr. Imanoel conceded. “But Vivitrol doesn’t take the craving away to the extent that methadone does, and neither does buprenorphine—it doesn’t keep people in treatment as long as methadone does.” In addition, Vivitrol and buprenorphine are much more costly than methadone. 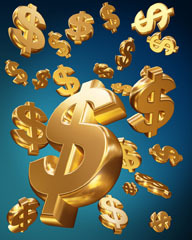 However, the costs of an OTP, which would be needed under federal law if methadone were dispensed—are high, as well. Either way, the bill is going to cost the taxpayer. The bill would require all three medications to be available. “We don’t want to force everyone to take methadone,” said Dr. Imanoel. There are two obstacles to the bill: one is the price tag, and the other is that the correctional facilities are fighting it. “They say, ‘We are corrections, people should be punished,” said Dr. Imanoel. “But it’s treatment, it’s just like somebody with diabetes—they should get treatment.” So, while OTPs are 100% in favor of the bill, the jails themselves are not. As authorities start recognizing the need to treat opioid-dependent detainees in jails and prisons, rather than let them detox cold turkey, the importance of opioid treatment programs (OTPs) to corrections is growing. Last fall, a federal court granted a preliminary injunction giving methadone treatment to an incarcerated patient. This was the first federal court—it was in Massachusetts—to find that denying medication can violate both the Americans with Disabilities Act and the prohibition against cruel and unusual punishment of the U.S. Constitution. The American Civil Liberties Union (ACLU) of Massachusetts, along with the law firm Goodwin Procter, brought the case on behalf of Geoffrey Pesce, a methadone patient. In March, another Massachusetts patient sued the federal Bureau of Prisons, demanding that she be able to stay on methadone when she begins serving her sentence. 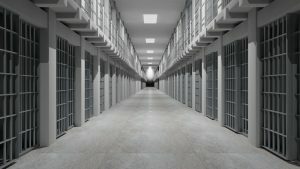 States are continuing to consider legislation to require jails and prisons to offer methadone to detainees, based on successful work done in Rhode Island and Connecticut. In fact, it looks as if corrections—which has in the past been interested in Vivitrol—is going to be a growth area for OTPs. Indeed, New York State is considering such a move. “With up to 25 percent of the country’s incarcerated population suffering from opioid use disorder, it is time for jails and prisons to provide life-saving medication,” said Paul Samuels, president and director of the Legal Action Center. “We urge New York lawmakers to act quickly to ensure that the Department of Corrections is offering all three FDA-approved medications to incarcerated individuals with OUD across the state,” added Samuels. Legislation proposing that all three medications (methadone, buprenorphine, and naltrexone) be available in all lockups in the state has been offered in New York. But it costs money, and it’s a battle. The state is not putting up enough money, meaning that counties—already strapped in many cases—would need to pay for methadone treatment for jail and prison detainees. That could be a heavy lift. At a meeting in February, which was in part a protest against the budget and in part a rally for medication-assisted treatment (MAT) in jails and prisons, legislators and others spoke loudly. “Throughout New York State, we have a critical opportunity to help fight the opioid epidemic, by establishing comprehensive addiction-treatment programs within correctional facilities; programs that include all three FDA-approved medications to treat opioid use disorder,” said Allegra Schorr, President of the Coalition of Medication-Assisted Treatment Providers and Advocates of New York State (COMPA). OTPs and others have called on the state to urgently pass and fully fund A833/S2161–the bill to establish MAT in all New York State jails and prisons. At a press conference after Gov. Andrew Cuomo released his budget, speakers criticized the allocation of only $3.75 million to finance 50 county MAT programs in county jails across the state, forcing the counties themselves to bear much of the cost. 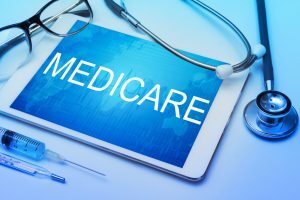 The federal Center for Medicare and Medicaid Services (CMS) and the Substance Abuse and Mental Health Services Administration (SAMHSA) have started preparations for setting a rate for Medicare payment for people 65 and over, AT Forum has learned. Thanks to the “SUPPORT for Patients and Communities Act” signed into law last year by President Donald Trump, opioid treatment program (OTP) patients will be covered by Medicare, starting in 2020. This means that when patients turn 65 and lose their Medicaid or commercial insurance, getting Medicare instead, they will be able to stay in treatment. “With regard to Medicare implementation, CMS/Medicare and SAMHSA representatives recently visited two OTPs to get a better sense of how they function and the services that are rendered,” Mark Parrino, MPA, president of the American Association for the Treatment of Opioid Dependence (AATOD), told AT Forum. As we reported last fall, CMS is developing a weekly bundled rate. First, said Mr. Parrino, “they have to identify what the basic benefits will be and what the rate will be.” As the method of reimbursement becomes clearer, AATOD will offer an implementation webinar. It would be premature to do this at the present time, he said. But patients in treatment now, nearing their Medicare-eligible status, need not fear that they will lose coverage and have to drop out of treatment. AATOD spent more than a decade working to get this Medicare rate implemented. The law creates a bundled payment for medication-assisted treatment (MAT), which by definition is a combination of medications and behavioral therapies to provide a holistic approach. The bundled payment will include the dispensing of methadone. The law also requires private insurers who offer Medicare Part D prescription drug plans to implement “lock-in” programs, starting in 2022, that limit the number of pharmacies and prescribers used by enrollees identified as at risk of opioid misuse. In adding OTPs to its covered programs, Medicare has to go through the same growing pains as all insurance companies. It will use the bundled approach, something Medicare already does for some other services. In the “bundled” approach, CMS combines payments for the physician and hospital or other services into a single amount, based on the expected costs during an episode of patient care. Medicare covers items and services included in broad categories, such as hospital care, physician services, prescription drugs, and many other categories, but doesn’t explicitly list all reasonable and necessary items and services that treatment might require. More to the point: until now, Medicare did not offer any explicit benefit to treat opioid use disorder (OUD), although many services considered part of OUD treatment are indeed covered under other categories, such as prescription drugs, psychologist services, physician services, and hospitalization. Until now, Medicare did not recognize OTPs for reimbursement. And because methadone for OUD can be provided only in OTPs, it has not been covered by Medicare. Finally, it’s unusual for Medicare to group treatments to treat specific conditions or diagnoses in a bundle. But now, it will. Payment bundles for OTPs will be updated every year.